Is it Really Almost September? The Korf Party was our first group up at Onepine Lake this year. It’s hard to believe that was already three months ago! My how time flies during the summer season. 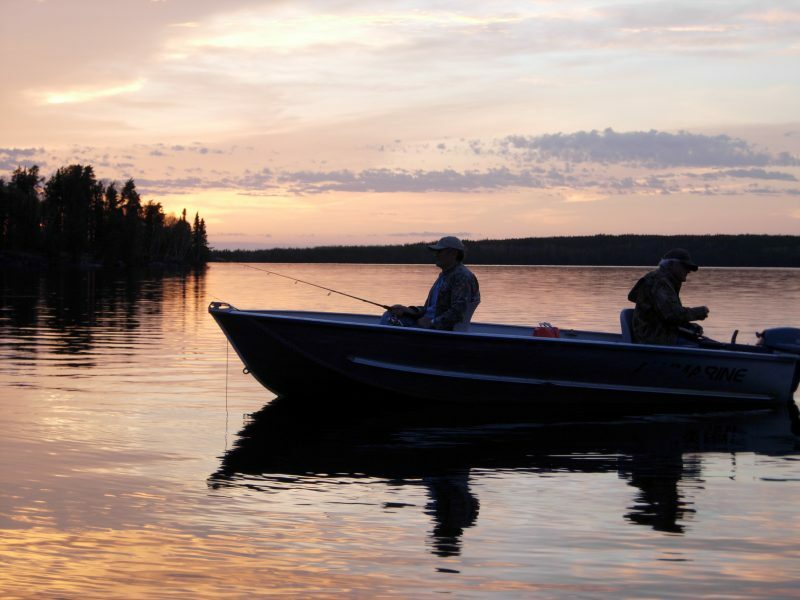 Here are some photos from their fishing vacation earlier in the season. 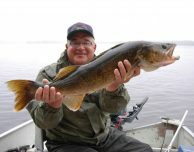 Despite the late spring, they said the weather was perfect and the fishing was fantastic during their stay. The Northern Pike were in shallow, so they had a lot of success using jigs, plastics, live bait and spoons. By the end of their trip, they had released several Northerns over 30 inches long, including one at 38.5 inches. The Walleye were also biting in shallow water. Neil reeled in a nice, fat one measuring 30.25 inches. While at the cabin, they enjoyed watching the loons and ducks, which were always close by. A pair of grouse were also hanging about most mornings. Eventually, the guys tried to approach the grouse slowly. They were able to get very close without them even getting spooked. You’ll find that a lot of the animals around here are like that, including rabbits. We guess that it’s just so peaceful in the north woods that much of the wildlife doesn’t feel threatened by humans! It’s a pretty incredible part of nature to experience. Quite different from your everyday hectic life back in civilization! We’re glad the Korf Party had such a fantastic adventure early in the season! Thanks for sharing your pictures. 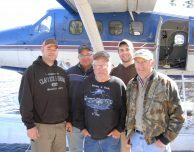 We look forward to seeing you at Nestor Falls Fly-In Outposts again!